Father Peter presented certificates, a gift and cash to the graduates. 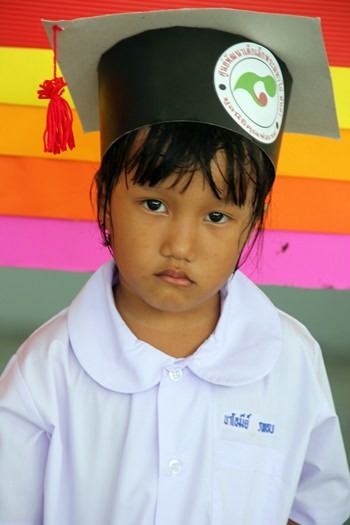 PATTAYA – With so many children and students with disabilities living and being educated at the Father Ray Foundation, throughout the year there are many graduation ceremonies to attend. 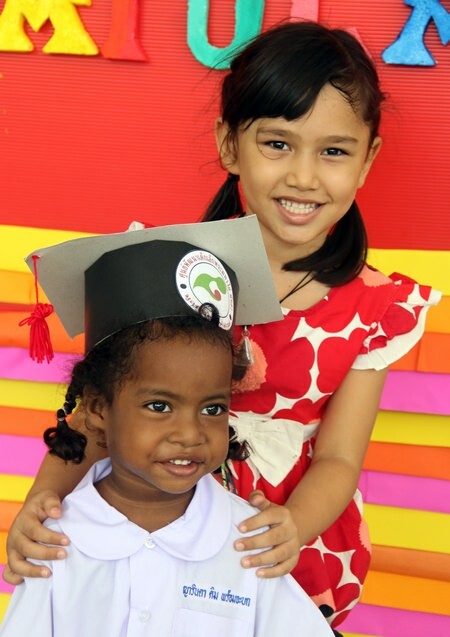 Children who live at the Children’s Home or Children’s Village leaving Grade 6 to go to high school, those leaving grade 9 and going off to vocational training and those who have completed Grade 12 all have graduation ceremonies. This year three older residents will be attending their university ceremonies and in December more than sixty young adults living with a disability will attend their own graduation celebrations. 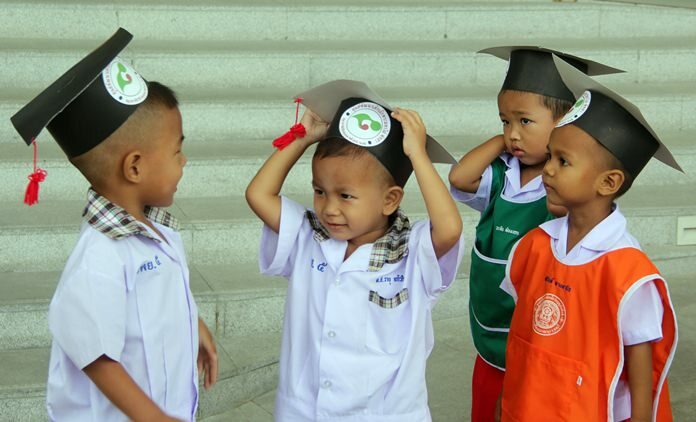 But the cutest ceremony of the year, if a graduation ceremony can be called cute, is the one that takes place at the Father Ray Day Care Center. 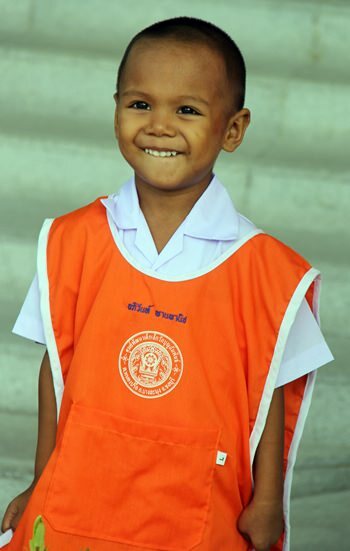 The Center takes care of some of the poorest children in Pattaya, and prepares them for when they reach the age to enter kindergarden. 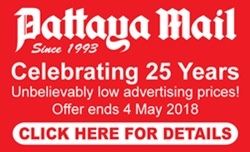 Of all the projects managed by the Father Ray Foundation, the Day Care Center is the only one that charges a fee, twenty baht per day, or 10 baht if they can’t afford twenty. The Center provides breakfast when the children arrive, as well as lunch, snacks, three uniforms, a basic education and a nurse check-up once a month; there is also a lady who each day squeezes oranges to ensure the children receive a daily dose of vitamin C.
When the children arrived at their graduation ceremony, all wearing the uniforms of their new kindergarden, they were welcomed by Father Peter, President of the Foundation. New arrivals at the Day Care Center. Not only did he present the graduation certificates and a small gift, but he also presented each child with an envelope containing cash. The cash is a percentage from all the twenty bahts they have paid in each day and is used to cover the cost of purchasing the new uniforms. 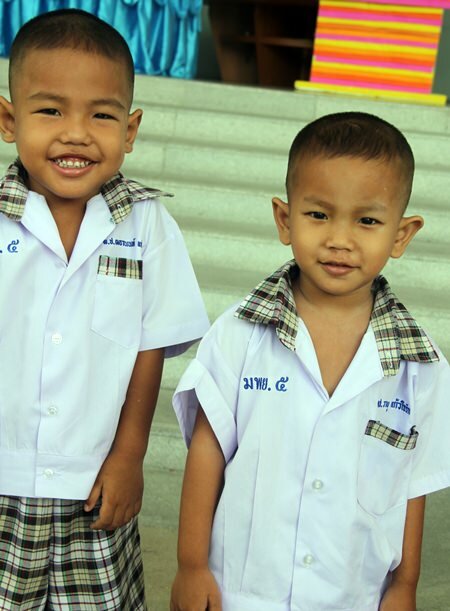 From the Day Care Center the children will spend three years in kindergarden before entering mainstream education for at least a further nine years, but while one group of toddlers left us another group arrived the same day. Graduating and ready for the next step. Just wants ceremony to be over. Only another three years of kindergarten and twelve of schooling until it’s all over. Friends off to the same school. Even former attendees came back for the ceremony, and to cheer their siblings.